ASAP Locksmith Simi Valley is one of the ASAP Locksmith branchs, ASAP is well known for the most quality security products and locksmith services. The Locksmith Simi Valley offer varied locksmith services ranging from residential to commercial and automotive services and we serve the Simi Valley area and its neighborhood, with up to 20 minutes response time. 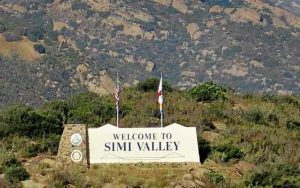 One thing that makes Simi Valley unique from the rest of the companies is the fact that it employs only experts and licensed technicians, who have gained specialized experience and fully available to provide 24-hour service. If you are having any locksmith trouble or losing your keys, then you can become our next customer. ASAP Locksmith Simi Valley repair, install and replace any kind of lock on any kind of door. If your door lock gets broken or damaged, it is preferable to repair it rather than replacing it, the cost incurred for repair is much less than installing a completely new lock, we hunest about what more better for you as our client we also have the latest technology of high-security locks that prevents also unauthorized key duplication. We will install the most of your home or office security equipment to keep your family and business safe, after all, thats the most important things in our lives. Besides home and bussiness, we offer our selves as locksmith for cars in Simi Valley and we handle any car model. The Simi Valley Locksmith converts issues to convenient for every client with its excellent services and cheap prices and we offer that for 24 hour service. We have more than 9 years on the locksmith industry and we are the only local Simi Valley company that hire licensed technicians only. We understand emegency situations when you locked out or lost your key in the middle of your bussy day, we will do everything in our power to come and save your day in minimum time and lowest price, its very important for us to make you happy. Our locksmith services are very satisfying and efficient and we always leave the client with an interest to hire our services again for any of future locksmith needs. ASAP Locksmith Simi Valley gained experience with any lock systems and we already know all kinds of keys. We accepts all methods of payments from cash, credit cards or even checks.